Putting a child to bed can be a challenge even when there are no extenuating circumstances. Add into the mix a child with ADHD or sensory issues and the challenge is even greater. There are a number of techniques that a parent can use to make bedtime go more smoothly. Having a reassuring set of steps leading to bedtime can be very important. Keep that ritual as regulated as possible, paying particular attention to timing. Reading a story can be a good starting point. (Be prepared that your child may want it to be the same story every night.) For some kids a bath is calming, for others the story time is better. You know your child, so choose what works for you. It might even be fifteen minutes sitting on the back porch, counting stars. One tool that shows promise across all age brackets is a weighted blanket. 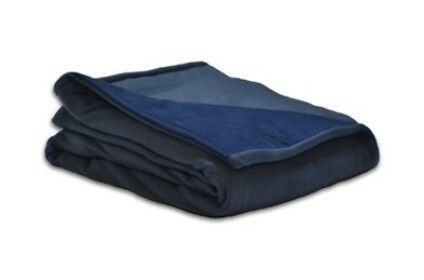 A weighted blanket applies pressure in an even manner across the body, resulting in the same type of relaxation that is provided by deep pressure touch which is often recommended by occupational therapists. If you find that this tool works for your child in the evenings, you might also consider using it during the day. Often a child may need a mechanism to help calm themselves. A child who is used to a weighted blanket during the night might also find that it is helpful for self-calming during the day. Weighted Blankets Plus is one retailer that offers a variety of both blankets and other weighted products that may prove helpful to your child during the day or the evening. It’s interesting to note that adults also report better, more restful sleep when using a weighted blanket. If your child struggles to fall asleep at the time you believe is appropriate, consider experimenting with the actual bedtime. You may need to shift their bedtime back a little later. Of course avoid things that are too stimulating as bedtime approaches (caffeine, screen time, etc), but don’t be afraid to shift their bedtime to one that works for all of you. There is no magic bullet for any child’s sleep issues, which means that parents have to be diligent and loving while looking for what works. It may take some time and what works for one child may not work for another, but with persistence you’ll find the method that works best for you and your family. Rolling Out An Effective Sales Force!